Washington (AFP) - If you think the US midterms are a rollercoaster, then buckle up, because the 2020 presidential election campaign is tearing right behind -- and Donald Trump is in the driver's seat. Even as Americans prepare to vote in November 6 midterm congressional polls, Trump is pushing for a head start in his race for reelection in two years. Traveling the country with raucous "Make America Great Again" rallies as often as four times a week, the president is galvanizing his fiercely loyal base in hopes of helping Republican candidates hold on to the House of Representatives and Senate, where they are expected to face a stiff challenge from opposition Democrats. But the rallies -- which feature literally the same music and many of the applause lines as during Trump's surprise 2016 presidential victory run -- also mark the beginning of the 2020 campaign. Steve Bannon, Trump's former top adviser and right-wing guru, has called the midterms "President Trump's first re-elect." 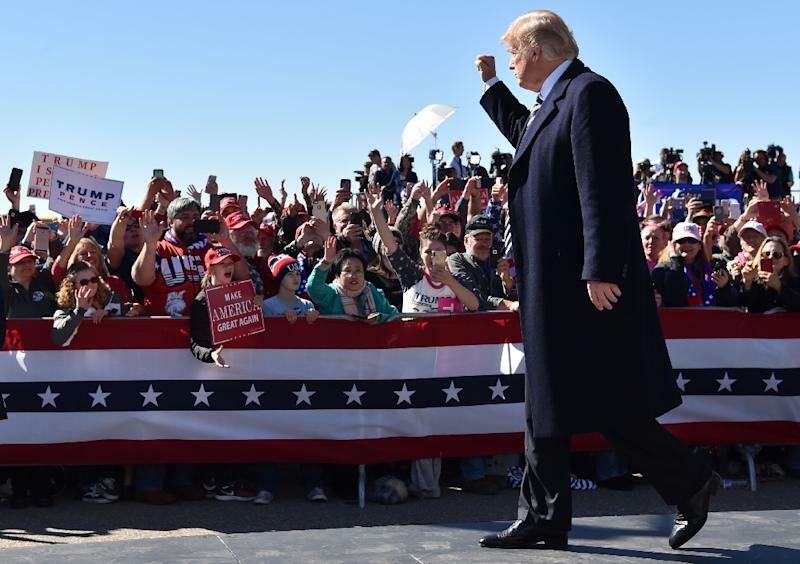 So even when Trump campaigns for local legislators, the rallies are still mostly about him and what he sees as his historic accomplishments, ranging from stoking the world's "hottest economy" to expelling "bad people" at the Mexican border. "America," he tells crowds, over and over, "is winning like never before." Another favorite topic: Democrat-bashing. 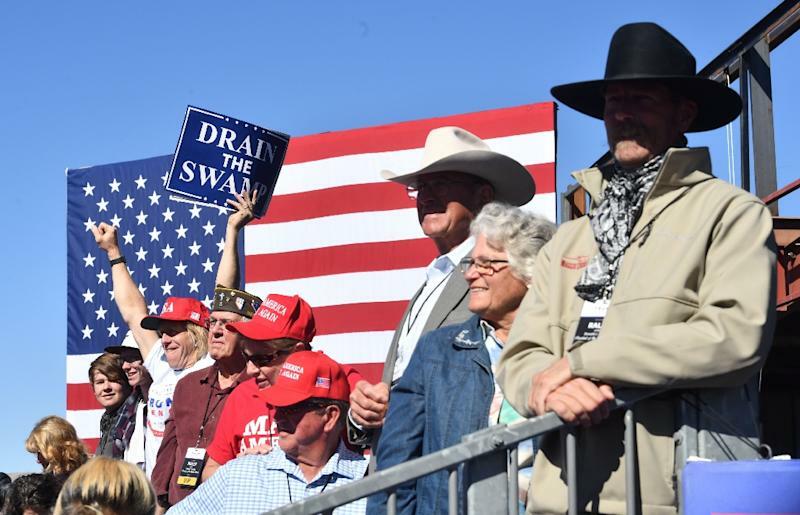 He drew hoots of approval on Saturday in Elko, Nevada, when he described the opposition party as "an angry, ruthless, unhinged mob" that wants to raise taxes and "impose socialism on our country." A significant extra boost from the rally machine is the constant addition of on-the-ground volunteers and raising of money. With $106 million of donations already in the 2020 war chest, Trump easily outstrips any current rivals. "100 percent," he replied when asked by Fox Business television if he wants that second term. Despite being a political newcomer, Trump has proven himself a formidable, if unorthodox -- and many would say dirty -- fighter. His message, centered on jobs and patriotism, is potent. And his delivery is unique in American politics -- combining playground behavior, like boasting and name-calling, with a sometimes brazen, even gleeful disregard of facts. The Democrats, believes Robert Erikson, a Columbia University politics professor, have no obvious solution. "Getting in the mud doesn't work very well, I don't think, and if there's somebody who can rise above it with their majestic stature I don't see who that can be," Erikson said. Some, however, see the solution to this dilemma more clearly. Former first lady Michelle Obama once said that when Republicans "go low, we go high," but according to Eric Holder, who was Obama's attorney general, that mantra can now be safely ditched. "When they go low, we kick 'em," is his advice for the new era. Certainly Trump's wasting no time on the high ground, greeting each of his many potential challengers with fresh, often catchy insults. 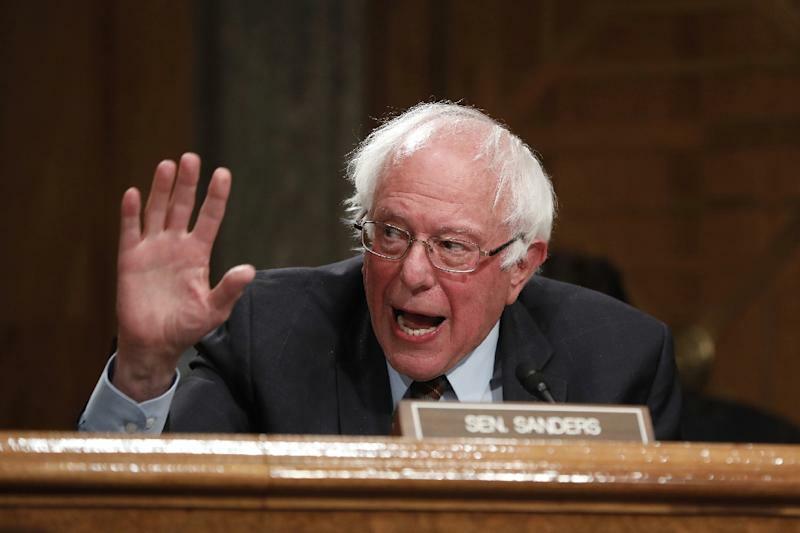 Leftwing independent Senator Bernie Sanders is "crazy Bernie." Hard-charging Senator Elizabeth Warren is "Pocahontas" for having claimed Native American heritage in her ancestry. Corey Booker, an ambitious black senator from New Jersey, "ran Newark, New Jersey, into the ground." And former vice president Joe Biden -- who opinion polls say is best placed to recapture the white working class vote from Trump -- comes in for extra mockery. "Crazy Joe Biden is trying to act like a tough guy. Actually, he is weak, both mentally and physically," Trump tweeted, predicting that in a punch-up Biden "would go down fast and hard, crying all the way." But Erikson points out that neither side can take anything for granted. After all, two years is a long time, and a newcomer -- like Trump or Barack Obama before him -- can turn the status quo on its head. "At this stage exactly four years ago," Erikson recalls, "Trump wasn't even on the radar as a serious candidate."